Keep up to date with the latest updates from our CDS Life Transitions community of organizations. After returning from active duty, many veterans face new battles on the home front. Recently, we visited a local group who helped a veteran get back on his feet. Phase Two of the 96-unit Azalea Village has been completed in the Town of Webster and will provide housing to seniors 55 and older. After returning from active duty, many veterans face new battles on the home front. Recently, we visited a local group who helped a veteran get back on his feet. ROCHESTER, NY (WROC-TV) – It looks like any home nestled in a quiet Rochester community, yet this structure is a major sanctuary for veterans who need assistance re-starting their lives after the military and traumatic events. Rochester, N.Y. (13WHAM) – Sgt. David Kendrick (ret.) says he couldn’t wait to get out Rochester when he was a teenager, but he wasn’t entirely sure how. ROCHESTER, NY (WROC-TV) – Warrior Salute Veterans Services plays an important role for veterans transitioning to civilian life. Army veteran David Kendrick Jr. went from fighting terrorists to battling homelessness and drug addiction when he returned from Iraq. ROCHESTER, N.Y. (WROC-TV) – A local organization raised funds on Thursday for those who have served our country. CICERO – Construction work has started on a $12.8 million affordable and supportive housing development at 8700 Knowledge Lane in the town of Cicero. The CDS Wolf Foundation was proud to host the 31st Annual Teeing Off For Abilities Golf Tournament on Monday, July 23. Manufacturing operations usually need to provide two key details to clients: consistent quality and cost effectiveness. Unistel Industries Inc. understands this with its dedication to Good Manufacturing Practices, being SQF-certified, continually vetting its suppliers for quality and cost, and holding its workforce to high standards. ROCHESTER, NY (WROC-TV) – This year’s Autism Awareness Fair will be held at the Wolf Life Transitions Center in Webster on Friday, April 27 from 5:00 to 7:00 p.m.
Rochester, N.Y. (WHEC TV) – Allison Warren, Director of Communications & Public Relations, CDS Life Transitions, joins “Rochester in Focus” to discuss CDS Monarch’s 2018 Annual Autism Awareness Fair. 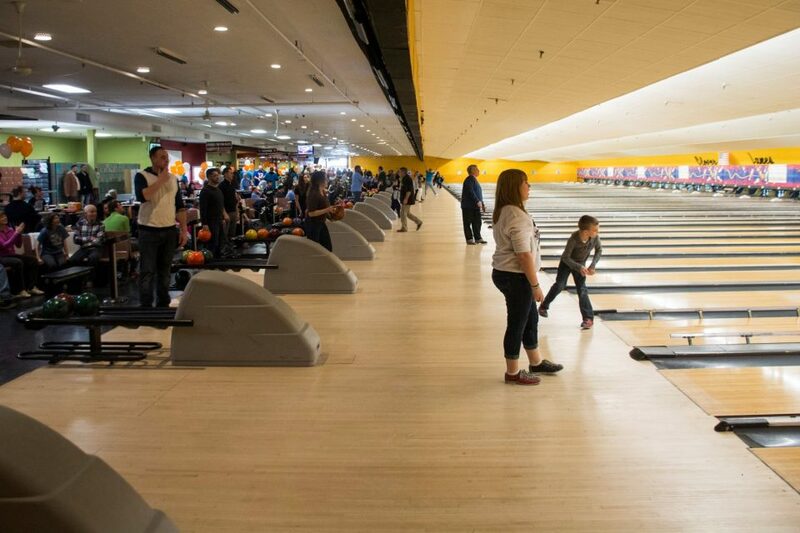 March 11 (Rochester Business Journal): CDS Wolf Foundation raised $47,000 at its 11th Annual Strikes for Abilities Bowling Party at Empire Lanes in Webster. Rochester, N.Y. (WHAM) – Five days a week, Robert Flood takes the bus to a day program at CDS Monarch on Linden Avenue. CDS Monarch, a CDS Life Transitions Co., will host a number of events in April in honor of Autism Awareness Month as an opportunity to teach important life skills to those with autism. Rochester, N.Y. – April 3, 2018 – Throughout the month of April, the Autism Skill Building Program at CDS Monarch will focus on life lessons for those individuals with Autism. WHEC TV – Some people are taking a different kind of strike at 11th annual event party to celebrate special Olympians. 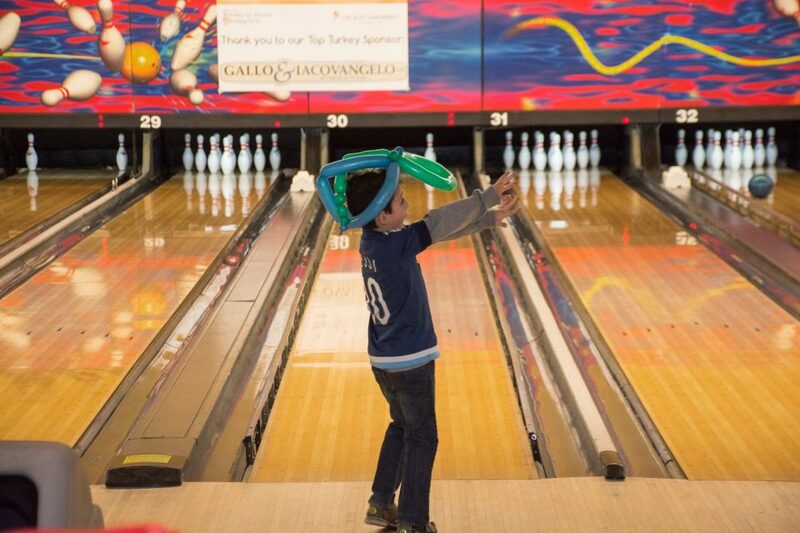 Webster, N.Y. (13WHAM) – Bowling for a cause at Sunday’s Strikes for Abilities Bowling Party in Webster. WEBSTER, N.Y. (WROC-TV) – The CDS Wolf Foundation hosted its 11th annual Strikes for Abilities Bowling Party Sunday.The event was held at Empire Lanes in Webster. From the Democrat and Chronicle: If you spy someone snowshoeing in the village of Fairport during the winter, there’s a good chance it’s Kenny Moriarity training. Rochester Chamber member CDS Life Transitions named board of directors member Richard Ferrari its interim board chair. A veteran banker and former CDS Life Transitions Inc. board chairman has been tapped as interim chairman for the organization in the wake of former chairman Mark Peterson’s departure. Watch to Erica Blum of CDS Monarch and Taryn Mullen of CDS Wolf Foundation discuss National Disability Employment Month with Hélène Biandudi Hofer from WXXI’s, Need to Know, news and public affairs program. Listen to Chad Williams of CDS Monarch and Taryn Mullen of CDS Wolf Foundation discuss National Disability Employment Month with Staci Henning from The WHAM 1180 Eyes on the Future podcast. CDS Life Transitions is a local non-profit that works with the intellectually and developmental disabled, seniors, and veterans. On Wednesday, Ashley Doerzbacher joined them live as they celebrated 40 years at their location in Webster. WEBSTER, N.Y. (WROC-TV) – Local organization Continuing Developmental Services (CDS) helps so many in this community — from those with developmental disabilities, to veterans and seniors. Rochester, N.Y. – Jul. 17, 2017 – The CDS Wolf Foundation hosted its 30th Annual Teeing Off for Abilities Golf Tournament Monday, July 17th at Monroe Golf Club in Pittsford. CDS Wolf Foundation recently hosted its 30th annual Teeing Off for Abilities Golf Tournament at Monroe Golf Club in Pittsford, ultimately raising a record $195,000. Rochester, N.Y. – April 28, 2017 – CDS Monarch is hosting its annual Autism Awareness Fair Friday, April 28th from 4:30 p.m. to 6:30 p.m. at 860 Hard Road, Webster. From the Democrat & Chronicle: When Margie Dell’s brother Chucky Dell was born with Down syndrome nearly 60 years ago, the family wasn’t sure what the future would hold. Rochester, N.Y. – April 6, 2017 – The Allentoff Institute, which provides staff development and community education at CDS Life Transitions, is hosting an informational session about how people with intellectual and developmental disabilities can benefit from Managed Care. Webster, N.Y. – Mar. 20, 2017 – The CDS Wolf Foundation raised $40,000 at the 10th Annual Strikes for Abilities Bowling Party presented by FlahertySalmin CPAs and Gallo & Iacovangelo, LLP Sunday, March 5th, 2017. Rochester, N.Y. – May 11, 2017 – The Allentoff Institute, which provides staff development and community education at CDS Life Transitions, is hosting an informational session about ways that people with intellectual and developmental disabilities can make the transition from school to adulthood Thursday, May 11th from 5:30 p.m. to 7:00 p.m., 860 Hard Rd., Webster. WEBSTER, N.Y. — Hundreds packed the AMF Bowling Lanes in Webster Sunday for Strikes for Abilities, an annual bowling party fundraiser for CDS Monarch. WEBSTER, N.Y. (WROC-TV) – The CDS Wolf Foundation is hosted its 10th annual Strikes for Abilities Bowling Party on Sunday. Webster, N.Y. – Two floors of Empire Lanes and 64 bowling lanes, all for the 10th Annual Strikes for Abilities Bowling Party. Staff from CDS Monarch and some of those who need them most came out with their families to raise money and hopefully make some strikes. Rochester, N.Y. – Feb. 16, 2017 – CDS Life Transitions is hosting open interviews Saturday, Feb. 18 at 650 Blossom Rd., Rochester from 10:00 a.m. to 3:00 p.m. to fill immediate career opportunities at CDS Life Transitions and its companies. Rochester, N.Y. – Nov 3, 2016 – On Thursday, November 3rd at 1:30 p.m., NYS Senator Michael F. Nozzolio will be visiting CDS Life Transitions in Webster, N.Y. to receive a lifetime achievement award for his support of people with intellectual and developmental disabilities, veterans and seniors in our community. WEBSTER, N.Y. — State Sen. Mike Nozzolio is not running on Tuesday. The retiring state senator is being honored for his role in public service. CDS Monarch has immediate openings for direct support professionals to help people with intellectual and developmental disabilities become independent members of their communities. An open interview session will be held from 9 a.m. to 1 p.m. Nov. 8 at Wolf Life Transitions Center, 860 Hard Road, Webster. Chad Williams and Tera Weekly of CDS Monarch and Steve Krautwurst of Burger King discuss how hiring people with developmental disabilities can be valuable to local businesses. Unistel Industries employee Teresa D. was recently selected as a William B. Joslin Outstanding Performer by New York State Industries for the Disabled during October’s National Disability Employment Awareness Month. The CDS Wolf Foundation hosted its 29th annual Teeing Off for Abilities Golf Tournament on July 18 at Monroe Golf Club. The event raised $162,000 for unfunded areas of need at CDS Life Transitions including new community living programs. Athletes from CDS Monarch’s Special Olympics team will be competing at this year’s State Summer Games June 10 – 11 at the College at Brockport. 21 athletes from CDS Monarch’s Special Olympics Team competed at this year’s State Summer Games at the College at Brockport on Saturday. Athletes from CDS Monarch’s Special Olympics team competed at this year’s State Summer Games from June 10-11 at the College at Brockport. Through a state grant, CDS Monarch recently partnered with The Community Place, Ibero-American Action League and Urban League of Rochester to develop a 12-week transition class to help people with intellectual and developmental disabilities learn the skills necessary to move into their own apartment or home and be successful. Rochester, N.Y. – Friday, April 27, 2016 – CDS Monarch will host their 7th Annual Autism Awareness Fair Friday, April 29 from 4:30 p.m. – 6:30 p.m. This free event is open to the public and will be held at the Wolf Life Transitions Center located at 860 Hard Road in Webster, NY 14580. CDS Monarch, in collaboration with CP Rochester and Happiness House, will open four satellite Article 16 Clinics in Webster and Penfield. Suzannah Iadarola of the University of Rochester Medical Center, Jen Hackett of Camp Puzzle Peace and the Family Autism Center, and Marissa Mynter of CDS Monarch discuss research conducted and resources available to support those living with Autism Spectrum Disorder. In collaboration with CP of Rochester/Happiness House, CDS Monarch is opening four satellite article 16 clinics throughout the Rochester area. CDS Monarch individual, Charlie, achieved his dream and graduated from college in December 2015 at Monroe Community College. Through a state grant, CDS Monarch has partnered with The Community Place, Ibero-American Action League and Urban League of Rochester to develop a 12-week transition class to help people with intellectual and developmental disabilities learn the skills necessary to move into their own apartment or home and be successful. Webster, N.Y. – Mar. 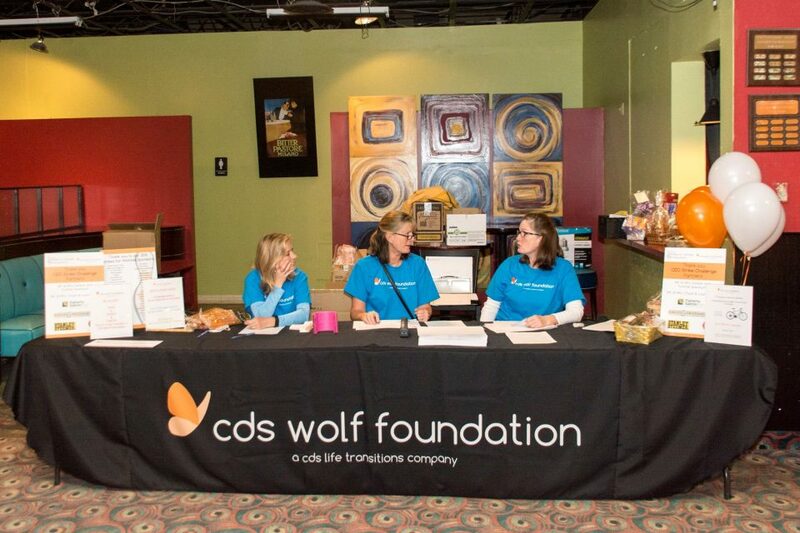 8, 2016– The CDS Wolf Foundation raised $37,000 at the 9th Annual Strikes for Abilities Bowling Party presented by Flaherty Salmin CPAs and Gallo & Iacovangelo, Attorneys at Law on Sunday, March 6th, 2016. The CDS Wolf Foundation hosted the Ninth Annual Strikes for Abilities Bowling Party and Fundraiser Sunday afternoon at Clover Lanes on Monroe Avenue. ELMIRA, NY (WENY) – The senior citizen population in Elmira is growing and the only population expected to increase in many communities including Chemung County. From the Rochester Business Journal: CDS Monarch Inc. has undergone a metamorphosis, evolving into a new structure that leaders of the non-profit organization say will better equip it to meet a changing landscape and grow its mission of serving and empowering individuals with developmental disabilities. Webster, N.Y. – Dec. 5, 2015 – The Wolf Foundation is hosting its annual Shortstack Saturday Mascot Madness Pancake Breakfast on Saturday December 5th from 8am to 11am. Rochester, N.Y. – Four Warrior Salute Veterans will receive free float sessions at BodyMind Float Center as part of the center’s Float it Forward initiative. There’s nothing more gratifying than giving the gift of happiness through an act of kindness. It’s pure, it’s genuine and it far exceeds any monetary value because happiness is truly priceless. The Amerks spend time at the CDS recreation program. Rochester, N.Y. – Nov. 12, 2015 – The William B. Joslin Award is given to an individual with intellectual and/or developmental disabilities “who has overcome challenges to succeed in their Preferred Source employment choice,” according to the NYSID website. CDS Monarch’s Without Walls, which provides opportunities for drama, music and art therapy, recently partnered with the Genesee Community College human services department. Andrew Sewnauth, VP of Community Living Operations, and John Keukelaar, Label Production Associate at Unistel, discussed the importance of National Disability Awareness Month on Rochester’s Eyes on the Future Podcast. Rochester, N.Y. – Oct. 7, 2015 – Nucor Steel Auburn hosted a golf tournament Tuesday, Sept. 15 to benefit Warrior Salute, a service of CDS Monarch. The tournament raised $33,000 to help fund critical transitional therapy and services for Veterans such as counseling, art therapy and transitional housing. ELMIRA, N.Y. (18 NEWS) – Plenty of interest tonight — as well as concerns — at a meeting to discuss a proposed affordable apartment project for seniors on Elmira’s Southside. From Stargazette: An affordable 50-unit apartment complex for seniors age 55 and older is being proposed on the Southside of Elmira. Rochester, N.Y. – Sept. 3, 2015 – An April 2015 study in JAMA Psychiatry revealed that suicide rates for Veterans are not impacted by soldiers being deployed to combat zones, according to Military Times. An organization that helps people with developmental and intellectual disabilities says progress is being made in helping reduced the local unemployment rate for the types of people they are trying to help. Rochester, N.Y. – When the Bureau of Labor released its job statistics Friday, Aug. 7, it noted that from July 2014 to July 2015 the unemployment rate of people with disabilities ages 16 and over dropped from 12.1 percent to 10.4 percent. Through CDS Monarch in Webster, the Warrior Salute program provides a host of services to male and female veterans suffering from Post-Traumatic Stress Disorder, to include residency, therapeutic options, job training, and much more. Rochester, NY – July 28, 2015 – The Wolf Foundation hosted its 28th Annual Teeing Off for Abilities Golf Tournament Monday, July 20 at Monroe Golf Club. Wednesday, Marine Veteran Zachary Grawe graduated from CDS Monarch’s Warrior Salute Program. After two deployments to Afghanistan, Grawe returned home with symptoms of post-traumatic stress disorder. Warrior Salute, a service of CDS Monarch that provides rehabilitative therapies and services to veterans, received a Disabled Veterans National Foundation (DVNF) Grant in the amount of $25,000. Fireworks are those “bombs bursting in air” that many of us know and love around the fourth of July. But they can be a source of stress for veterans suffering from PTSD (post-traumatic stress disorder) in the aftermath of war. Penfield Rotary and Warrior Salute partnered to sponsor the club’s 18th Annual Golf Tournament at Shadow Lake. Rochester, NY – Monday, June 22, 2015 – John “Dutch” Summers of Jasco/Graywood Companies and Sandra Parker, former president/CEO of the Rochester Business Alliance, made a generous donation of $120,000 to Warrior Salute™, a service of CDS Monarch that provides services to Veterans with Post-Traumatic Stress Disorder, Traumatic Brain Injury and/or Military Sexual Trauma, which is funded entirely by community and corporate donations. We celebrate our 300th broadcast with Mark Peterson of GRE, Tom Ioele of ER Associates, Sankar Sewnauth of CDS Monarch, George Cook of Simon Business School, Joe Casion of Harter Secrest and Emery, Jim Schnell of Mengel Metzger Barr, and Mike Alt of Eastman Business Park. CDS Monarch will be breaking ground on its second CDS Monarch Senior Living community, on the morning of April 23rd. The event will take place at 10am at the site of the new building, to be located at 860 Hard Road in Webster, NY. 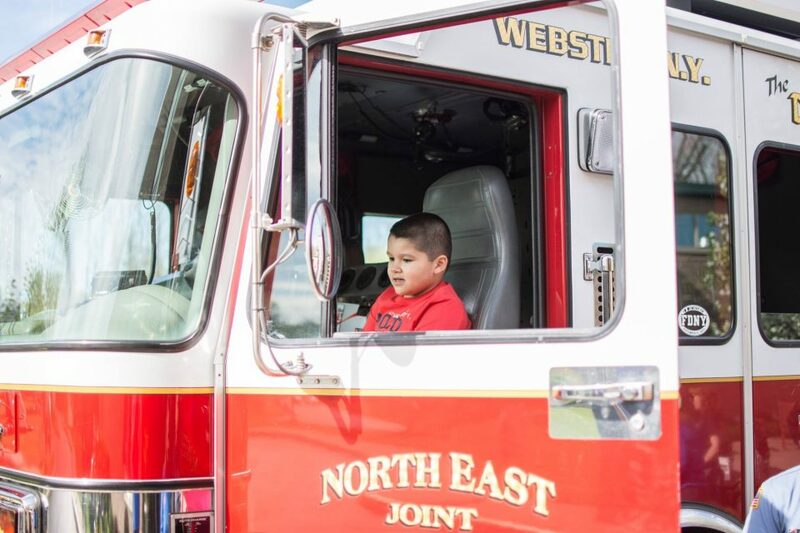 The sixth annual Autism Awareness Fair is scheduled for 4 to 6 p.m. Friday at the CDS Monarch Wolf Life Transitions Center, 860 Hard Road, Webster. Tuesday, April 21, 2015 – CDS Monarch and New York State Homes and Community Renewal (HCR) today announced the grand opening of CDS Monarch’s second Senior Living community. CDS Monarch is continuing its efforts to raise awareness for Autism during National Autism Awareness Month. According to the Centers for Disease Control, more people than ever are being diagnosed with Autism Spectrum Disorder (ASD). Every March, the nation celebrates National Developmental Disabilities Awareness Month, which was established by President Ronald Reagan in 1987. CDS Monarch has launched a new service called “Golden Wings,” to assist seniors ages 55 and older who live in the community, to acquire and improve socialization, and provide them with person-centered recreation and leisure activities. Twenty-four honorees—22 individuals and two organizations—have been selected as recipients of the Rochester Business Journal’s 2015 Health Care Achievement Awards. Proceeds from the Hilton versus Webster Thomas game, 5 p.m. at Webster Ice Arena, go to the Warrior Salute A Service of CDS Monarch, according to the booster club. Willink Middle School performs holiday music at CDS Monarch. Homelessness, unemployment and PTSD are some of the issues that plague returning vets. CDS Monarch’s Warrior Salute Program helps vets with mental health issues and the transition back into civilian life. Salute Seasonings is expanding its reach. The gourmet spice blend brand, which recognizes the contributions of veterans, is adding seven more flavors to its lineup. Seven new spice blends made and packaged in Rochester will be sold in area Wegmans stores starting Saturday, Nov. 1. Wegmans says it will start selling Salute Seasonings, which is a gourmet spice blend manufactured in Rochester and benefits veterans. ROCHESTER, N.Y. — One of the co-founders of CDS Monarch in Rochester passed away Friday morning. Webster, NY – Saturday, October 18th, 2014 – Co-founder of CDS Monarch, Phyllis Wolf passed away peacefully on Friday September 12, 2014. Pittsford: Phyllis K. Wolf, 89, of Pittsford, NY, passed away peacefully on Friday, September 12, 2014, due to complications from Alzheimer’s disease. ROCHESTER, N.Y., Monday, Oct. 13, 2014 — Seven new flavors of Salute Seasonings, a gourmet spice blend manufactured and packaged in Rochester, New York, will be available for sale at area Wegmans beginning Saturday, Nov. 1, just in time for holiday baking and cooking season. Melissa Brown, Erica Blum, and David Philip of CDS Monarch discuss National Disability Employment Awareness Month and the important role CDS Monarch plays in assisting people with developmental disabilities. Congresswoman Louise Slaughter says there’s been a 50 percent increase in the number of reported sexual assaults in the military since 2012. Rep. Louise M. Slaughter and renowned clinicians shared their expertise about military sexual assault at the CDS Monarch Warrior Salute’s “Serve. Honor. Support.” Symposium held Wednesday. Veteran service agencies, clinicians, and local community leaders took part Wednesday in the Serve, Honor, Support symposium at Nazareth College. An important issue was discussed Wednesday morning during the second Annual Serve. Honor. Support. Symposium at Nazareth College. A new report found sexual assaults in the military has increased 50 percent in the last year. Congresswoman Louise Slaughter says progress has been made but there is still a long way to go. There are 68-thousand veterans in the Rochester area. A growing number are coming home from Iraq and Afghanistan. Many of these younger vets struggle to find work and pay the bills. Rochester is about to have it’s first serious conversation about Military Sexual Trauma. Women and men in our community suffer from MST and a conference next week is focussing on how best it can be treated locally. With powerful tributes to warriors past and present, artist and Sergeant Brian Kennedy (a CDS Monarch staff member) is using his gift to help Veterans overcome their personal battles. To read more view attachment. While the number of projects is down from a peak in the early 2000s, commercial and residential building in Webster is cruising along at a steady clip. Summary: Taryn Mullen, Claudia Gallipeau, and Ben Spencer of CDS Monarch discuss rewarding career opportunities in Human Services field available at CDS Monarch. John Bayle, who, during a recent black belt training cycle at Faust’s USA Karate, ran a fundraiser at Nazareth Performing Arts Center for Warrior Salute, an organization that assists military personnel with PTSD and wounded warriors. More than $2,000 was raised for the organization. Summary: Tom Tartaglia of CDS Monarch’s Warrior Salute program and Jon Stanley, a Warrior Salute Graduate and Unistel employee, discuss ways the Warrior Salute program helps veterans and their families. Warrior Salute is mentioned in this blog article from the Democrat & Chronicle, about Internet Service in Rochester, NY, and in particular one local internet service provider: Frontier Communications. The Patriot Guard Riders of New York and New York Warrior Alliance along with members of the Legion Riders, Chrome Divas, Widow Sons Masonic Riders and more; formed an organized bike run of more than 200 riders on Saturday, June 14th Flag Day. The Patriot Guard Riders of New York presented a $25,000 check on Saturday, June 14th to benefit Warrior Salute, a service of CDS Monarch. On Saturday, June 14th, The Wolf Foundation is hosting a “Star-Spangled Shortstack Saturday” pancake breakfast from 8:00-11:00am at the Wolf Life Transitions Center (860 Hard Road in Webster). On Saturday, June 14th, CDS Monarch will be holding a Flag Day Cookout celebration from 12:30-2:30pm at the Wolf Life Transitions Center (860 Hard Road in Webster). This event will honor the Warrior Salute Veterans. During the last year, the Patriot Guard Riders of New York have attended some 400 funerals; the majority of them funerals of veterans. Flag Day is Saturday. In honor of the Veteran’s Outreach Centers 40th Anniversary, it’s time to show your pride in our stripes. CDS Monarch will salute all vets on Flag Day with a picnic. Patriot Guard Riders of New York announced today that they will be hosting the 2nd Annual Heroes Run Fund-raiser at St. Paul’s Fireman’s Exempt, located at 690 Thomas Ave., Rochester, NY 14617. CDS Monarch has been recognized once again for its contributions to local veterans. 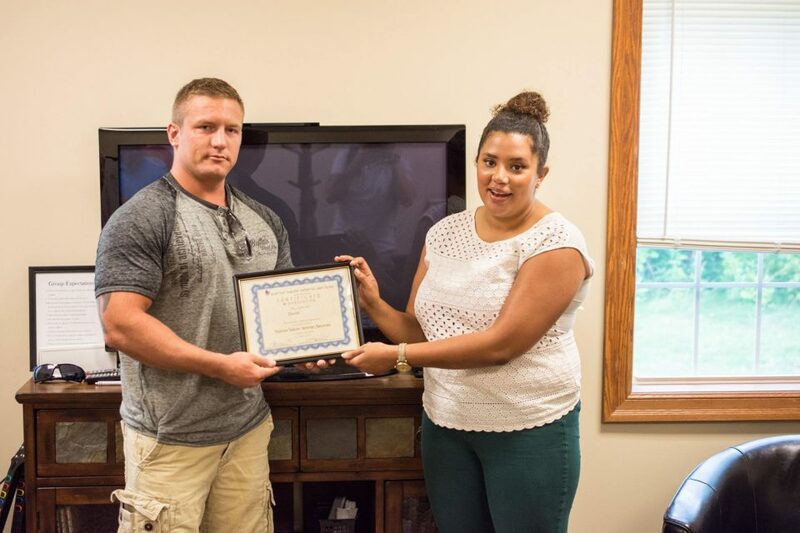 The organization was honored with the “Above and Beyond” award on Thursday for its efforts to help returning veterans transition into civilian life through the Warrior Salute Program. CDS Monarch has long sought to help its employees stay healthy. “We’ve had some type of wellness program in place at least since 2008,” says Sarah Norton. The August Group will be hosted “Connecting Rochester: an Evening of Wine and Mingling” to benefit Warrior Salute on June 18, 5:30-8:30 pm at Nazareth College Arts Center. We are proud to announce that CDS Monarch President/CEO, Sankar Sewnauth, was presented with the prestigious Above and Beyond Award by the New York State ESGR Committee. Eastman Institute for Oral Health, Golisano Foundation and Special Olympics are partnering to bridge a long-standing gap to improve access and oral health care for people with intellectual disabilities (ID) and hosted A Day for Special Smiles, a first-of-its kind event in the area. Webster, N.Y. — For some veterans, the return home can be a struggle. Veterans like Leah of Rochester understand that struggle. Leah was a nurse in the Army from 2001-2004. During that time, she saw intense combat, injuries and suffered sexual assault. WEBSTER, NY— Reliant Community Credit Union presented a check for $500, along with boxes of school and office supplies, to CDS Monarch’s Warrior Salute program on Friday, May 16, 2014. On Tuesday, April 29th, First Niagara Bank is being honored by CDS Monarch as a generous community donor. CDS Monarch will host their 5th Annual Autism Awareness Fair on Friday, April 25, 2014 from 4:00-6:00 p.m. This free event is open to the public and will be held at the Wolf Life Transitions Center located at 860 Hard Road in Webster, NY 14580. CDS Monarch President & CEO Sankar Sewnauth discussed a new Senior Living Community planned for Webster in our Why ROC segment Wednesday morning on News 8 at Sunrise. CDS Monarch broke ground on a second senior living community this morning in Webster. The new building will offer apartments for seniors, people with intellectual and developmental disabilities, and veterans who are 55 years and older. New York State Senator Ted O’Brien will visit with veterans who are dealing with post-traumatic stress disorder (PTSD), military sexual trauma (MST), and/or traumatic brain injury (TBI) and receive support through Warrior Salute, a service of CDS Monarch. The good news came just three days ago, no U.S. military forces died last month in Afghanistan, marking the first such month in more than seven years. A jobs report for 2013 from the New York State Industries for the Disabled, Inc. (NYSID) found that nearly 700 jobs were created in western New York for people with disabilities. ESGR is an all-volunteer arm of the U.S. Department of Defense that offers education programs for employees and employers, as well as mediation for workplace conflicts. On Sunday, March 9, 2014 The Wolf Foundation hosted its 7th Annual Strikes for Abilities Bowling Party, presented by North Forest Office Space, Gallo & Iacovangelo, Mr. and Mrs. John and Sarah Norton, and Salmin, Celona, Wehrle and Flaherty, LLP. In recognition of National Intellectual and Developmental Disabilities Awareness month, The Wolf Foundation is holding its 7th Annual “Strikes for Abilities” Bowling Party this Sunday, March 9th, at Clover Lanes on Monroe Ave. in Rochester. On Wednesday, March 5th, President of Chamberlin Rubber Company, Inc., Mr. William Lanigan, was honored by CDS Monarch as a generous community donor. On Tuesday, February 18th, CEO of Relph Benefit Advisors, Mr. Robert G. Relph, Jr., was honored by CDS Monarch for being a kind and generous community donor. Work is set to begin in April on a multimillion-dollar affordable senior living complex on Hard Road in Webster, with three additional buildings for planned for the site. Seven local housing development projects comprising 324 homes will benefit from grants announced by the Federal Home Loan Bank of New York. homas Bonadio, CEO and managing partner of The Bonadio Group, presented a $25,000 check Wednesday to CDS Monarch in Webster.